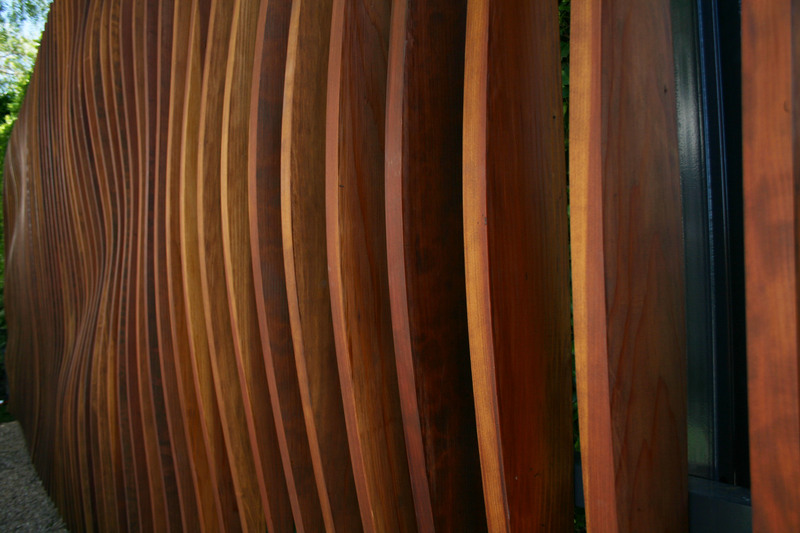 Ilan Dei Studio has recently completed a 45′ sculptural wall for a private residence in Los Angeles CA. The wall is inspired by the topography of the canyon that the property sits on and the corresponding view of the Pacific Ocean. 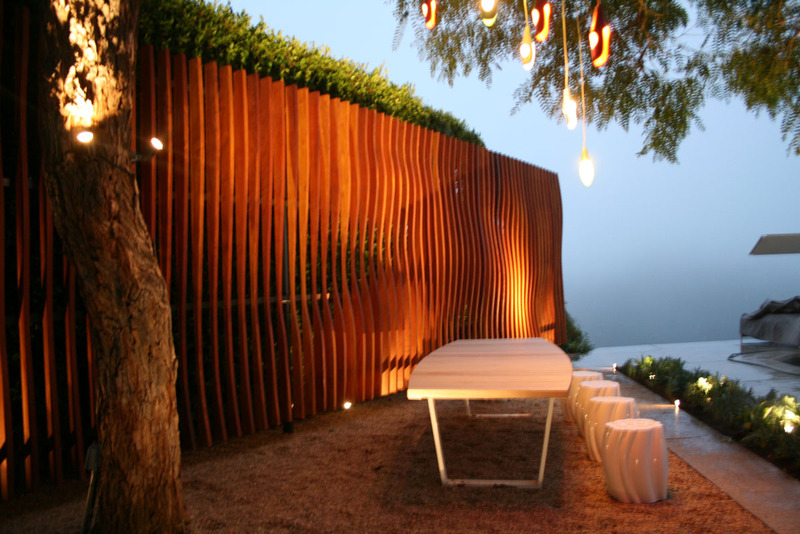 Creating a backdrop on the edge of the property the wall defines an outdoor dining room complete with dining table, elaborate views of the canyon and ocean, and cooling shade from the tree branches overhead. Mixing traditional Japanese simplicity with California Modernism and Digital Fabrication the wall is perceived differently depending on where the user is located within the property. The Redwood is set against green vegetation to create a contrast of color and depth that shifts in and out of view.